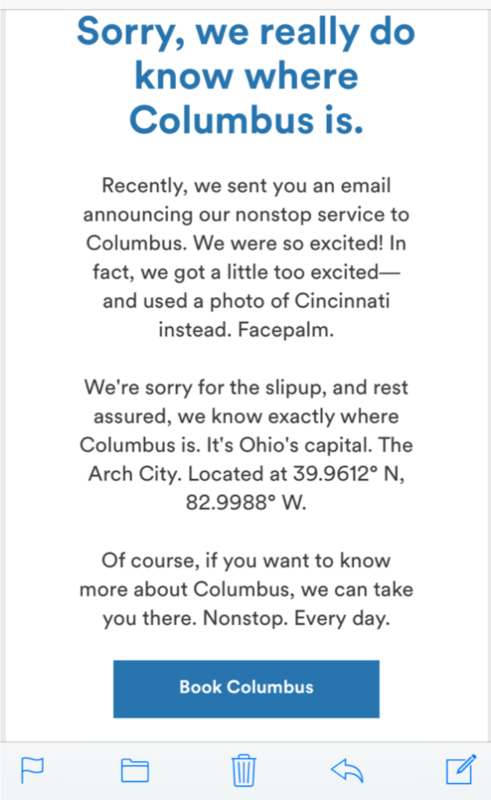 What should a major airline do when they mistakenly send their customers an email promoting flights to Columbus along with a beautiful photo of…Cincinnati? Blame it on a technological snafu? Hide behind language like “we apologize for any inconvenience this may have caused”? If you’re Alaska Airlines (or more specifically, if you work in the communications department at Alaska Airlines), you own up to the mistake like a human. It’s a good reminder for students (and parents). Honest mistakes can happen despite best intentions. But honest apologies happen because of them.